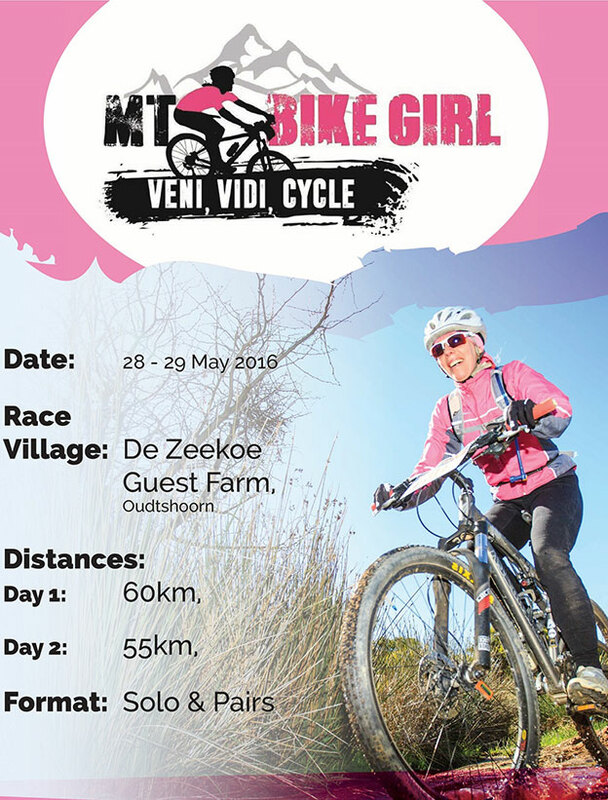 The MT Bike Girl Race will be taking place from the 28 – 29 May 2016, starting from the De Zeekoe Guest Farm in Oudtshoorn. Day 1 is a 60km race and day 2 is a 55km race. Please register at www.trisport.co.za. Entries close on the 1st of March 2016. Find out more about the MTB Race.